MyHeritage is your home for free family genealogy and family history. MyHeritage offers family genealogy software, family history genealogy, family genealogy forum, and family genealogy research. 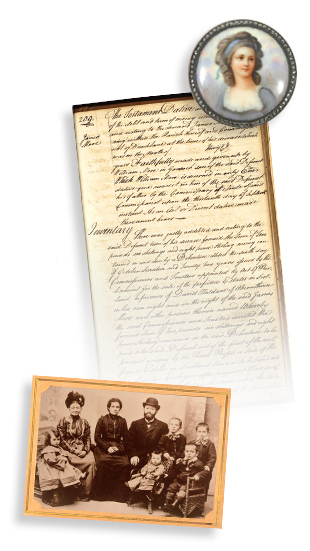 Family search genealogy is offered at MyHeritage Research. Whether you are looking for Davis family genealogy, Brown family genealogy, James family genealogy, or any other genealogy of family� MyHeritage Research offers the most powerful family genealogy search engine on the planet. In one search, you can cover multiple spelling variations, phonetic synonyms, Soundex and Megadex variants, and much more! If you are looking for family tree genealogy software, then Family Tree Builder by MyHeritage is for you. Family Tree Builder is free family genealogy software that is flexible and easy to use. Create your genealogy family tree visually and edit it in 36 languages. Family Tree Builder is 100% free.